Music appreciation 101! 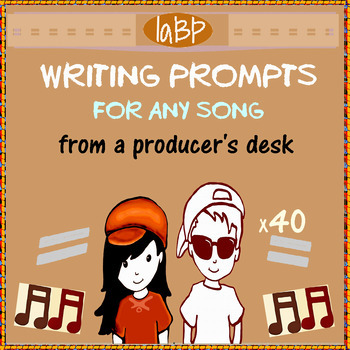 Use these musical writing prompts to cover writing in music class. Clue kids into the production, lyrical, and musical quality of songs they're exposed to daily. Included vocabulary: arrangement, chord progression, melody, harmony, background vocals. Important to note: Please make sure your students understand these musical terms before using this product. Print on card stock and laminate for beautiful results. Choose questions for your students yourself or have students grab prompts from a basket.